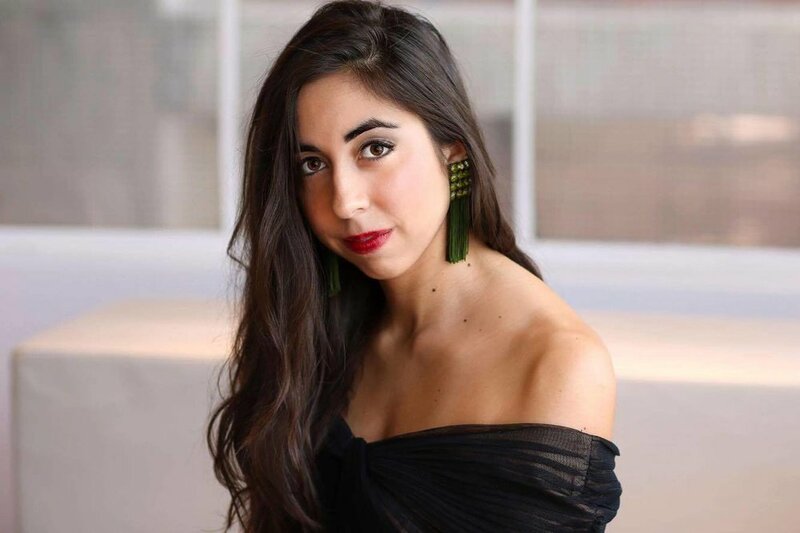 Soprano Eugenia Forteza is originating the role of Thérèse in the world premiere of TABULA RASA, a new jazz opera by Felix Jarrar & Bea Goodwin that tells the feminist story of Kiki de Montparnasse, one of the most iconic women of 1920s Paris. Eugenia shares about her journey as a singer, living the American Dream, and her research into Thérèse, Kiki's best friend. I was born in Paris, France and later moved to Buenos Aires, Argentina, where I grew up attending the Lycée Français de Buenos Aires, playing sports and exploring the world of the performing arts. At 19, I moved to Philadelphia to pursue an undergraduate degree in Vocal Performance at Temple University and ended up staying in the States for grad school as well, which I started at New England Conservatory in Boston and finished at Rutgers University in NJ. Now I have been in NYC for two years, where I am a freelance artist and run my own blog/social media channel called "360° of Opera". All of it has been such an incredible experience for me coming from Argentina. Growing up in South America teaches you to never take anything for granted. I love this country and everything it has offered me so far. I am living my American Dream. All of the characters in Tabula Rasa are based on actual historical figures. What did you know about your character prior to working on Tabula Rasa, and how did you go about preparing the role? 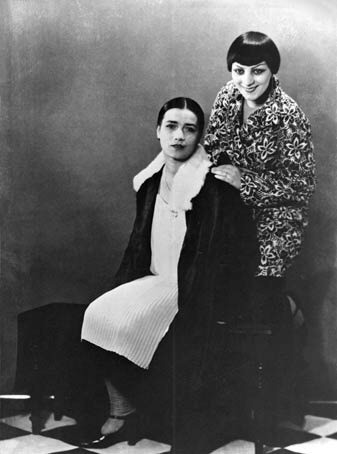 Thérèse Treize was Kiki de Montparnasse's best friend. They became inseparable. I knew about Kiki before getting involved with the show but not about Thérèse. However, being French myself, I am familiar with the aesthetics and the spirit of the ladies of that time. We are lucky to have Bea Goodwin as our director, she always has answers to our questions as actors and knows how to direct us to continue our own research. I tried to dig up as much information as possible online and watched a lot of videos and photos to understand these characters' spirit and physicality. Fun fact? Thérèse was a gym teacher near Deauville before she met Kiki. If I wasn't an artist, I'd be an athlete for sure and Deauville is the beach town where my family goes on vacation in France. There is also a photo of Kiki and Thérèse where I look just like her. Those sort of "coincidences" (are they though?) give me goosebumps and it makes it all the more special. Could you share with us a few of the photos you came across in your research? 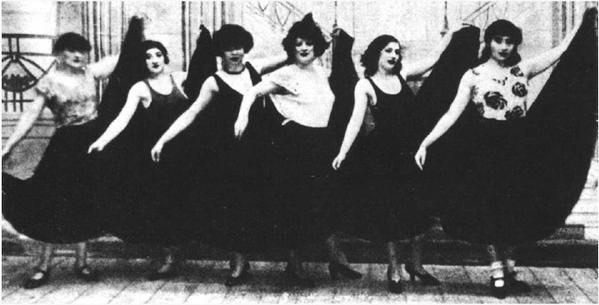 Group photo: Thérèse Treize et les Montparnasse Girls, 1926. What are some of the rewards of working on a new work? What are the challenges? Felix and Bea are absolutely brilliant. I love them so much, as artists but also as the incredible people that they are. Getting to create this piece from scratch with them is an absolute privilege. I am so fortunate to work everyday with the people who wrote and composed the piece. They are right there with their performers every step of the way, helping us, guiding us and always open to our suggestions. To me, nothing compares to the art of collaboration. Growing up playing sports, team spirit is the driving force behind everything I do. And this is a dream team. I consider myself very lucky. Challenges? So many. But they don't matter. They make us all the more creative and help shape the product we are putting out there. What is your greatest non-artistic achievement? My people. I have so many special people in my life who will go out of their way for me. I owe them everything. My family and my friends at home who have believed in me since day one and are always there to tell me the truth. The friends I have made here in the States (who I consider my American family), who have helped me through all the lows and have shared the excitement of the ups with me. MY TEACHERS!! Everyone who has ever given me an opportunity to work, grow, tell a story and learn. My boyfriend David who means the world to me and is the best teammate I could have ever asked for. What's an activity you enjoy doing when you're not singing or running 360 of Opera? I have practiced yoga for many years and I am a very athletic person. Physical activity is what keeps me grounded and centered. It is my time to meditate and disconnect from everything else. One of the first things I do when I get to a new city is figure out where the yoga studios are. Yoga and sports are similar to music because they are universal languages. Some favorites aside from yoga: playing tennis, running, biking and swimming. Name a trashy TV show you secretly love. In one sentence, why do you hope people come to see Tabula Rasa? I think people should come see this show because this story has never been told before, it is a story that matters and we are telling it in a passionate, beautiful and relatable way.